Plans are being formulated for two north-south bike lanes for Center City Pennsylvania. Deputy mayor for transportation, Rita Cutler, stated that “sometime in late April”, they will be announcing the tentative streets as well as the “enforcement program”. At present, she stated that the aim is to have a southbound and northbound lane about a block apart creating a route between Spring Garden and South Streets. Lanes are expected to be six foot wide without the removal of parking, if possible. Residents with a vested interest in the future development of these new paths should make an effort to attend upcoming meetings to express personal opinions on the matter. To read more, click here. 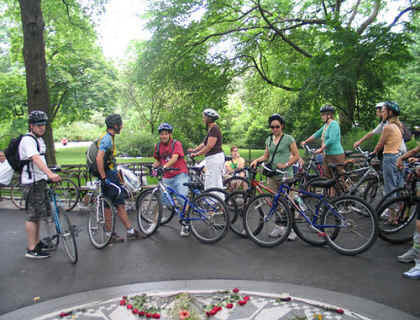 The Central Park Conservancy is carded to be opening two new bike paths in the early part of Summer. The paths are expected to be placed on the northern end of the park near West 96th Street and West 102nd Street. The paths should open up a more direct route from the Upper West Side to the Upper East Side creating a more convenient and efficient commute for cyclists. To read more, click here. 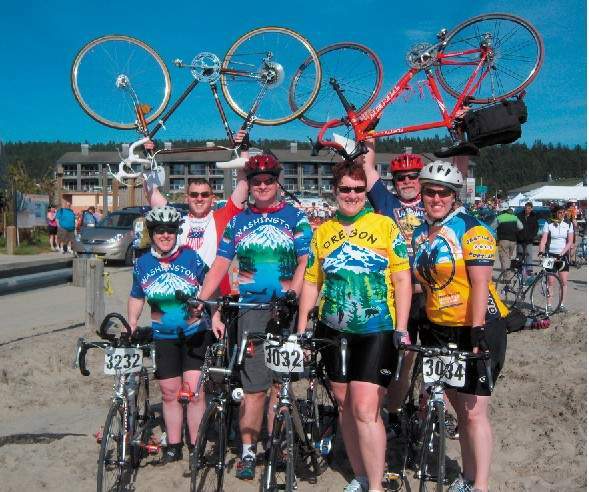 Cyclists of every age and level of experience are invited to come out to “Reach the Beach”, a FUN annual fundraiser for the American Lung Association in Oregon. The main event will be held on May 21st marking the 21st anniversary since its inception. Early registration for the event is ongoing from now until April 10th at a participation fee of $25. Beyond April 10th through April 30th, the cost will increase to $35, and after this period, registration will only be available online for $45 through May 15th. The maximum number of participants this year is 3000, so register now. The child registration fee is $30 and is available on the day of the event only, with the specification that no tandem riders are allowed. In keeping with the fact that the event is primarily a fundraising venture, each participant, with the exception of children, is required to raise at least $100 in donations, all proceeds going to the association. For more information about the various routes, their distances as well as other planned specifications such as rest stops, click here. Isle of Wight Council, England, is calling for enthusiastic, knowledgeable volunteers to conduct guided tours of bicycle trails around the island for its upcoming Cycling Festival (Sept 17th – Sept 25th). 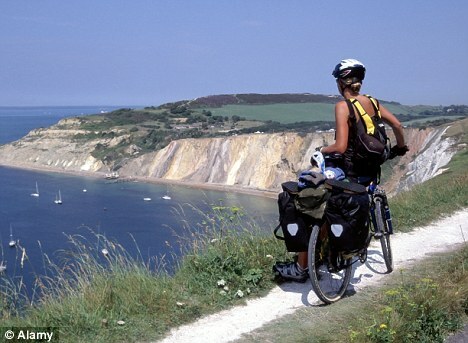 Isle of Wight is known to have 200 miles of bike paths along with 12 marked routes through very scenic and beautiful terrain. The island is known for its gorgeous bike paths and was pronounced a world class cycling destination in Lonely Planet’s Best in Travel 2010 guide. For more information about the festival activities as well as for contact information, click here. Two new bicycle lanes will be opened April 2nd on Third Street and Broadway in the city of Long Beach as part of a 12-month trial project. The lanes are said to have illuminated bike signals to aid bikers in making turns in order to limit the number of bike-vehicle collisions. To read more about the project click here. A new off-road pedestrian/ bike route is being developed between the 7stanes mountain bike trail centers at Glentress and Innerleithen Scotland. 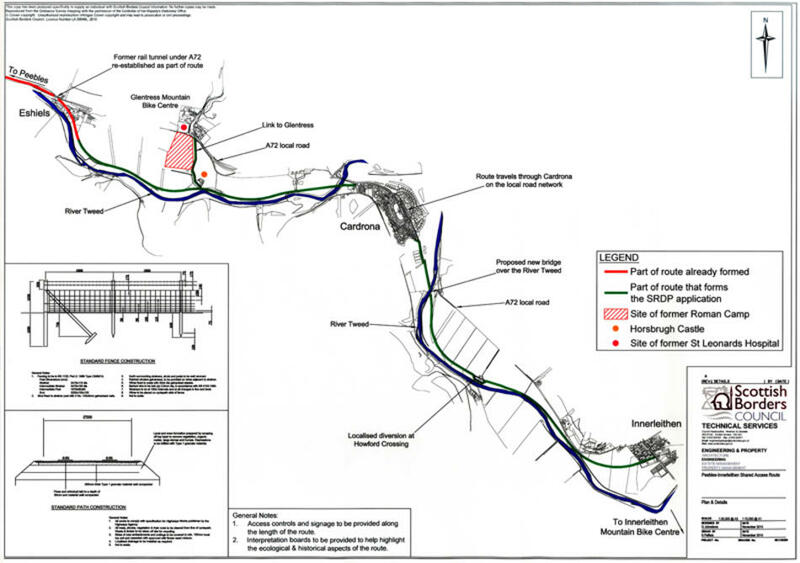 The proposed route including the Tweed Valley path passing through the town of Peebles and the village of Cardrona is expected to cost £800,000. Most of the funding (£599,965) will be supplied by the Scottish government under Rural Priorities funding, while the remaining £200,000 will be supplied by the Scottish Borders Council and sustainable transport charity Sustrans.To find out more about the new route along with its estimated time of completion, click here. The Arlington Bicycle Advisory Committee held a special meeting last night at the Central Library as part of their continued effort to get the public involved in issues pertaining to cycling. A predominant portion of the meeting consisted of a 45 minute film, produced by a traffic engineer, about European cycling practices. The public could then draw parallels from the film and comment on ways in which European practices can be applied in Arlington. After the film, public reaction was seen to be positive. To read some of the views of those who attended, click here. If interested in Arlington’s cycling community, members of the public are encouraged to attend the Bicycle Advisory Committee’s monthly meetings. To watch the film about European cycling practices, click here. 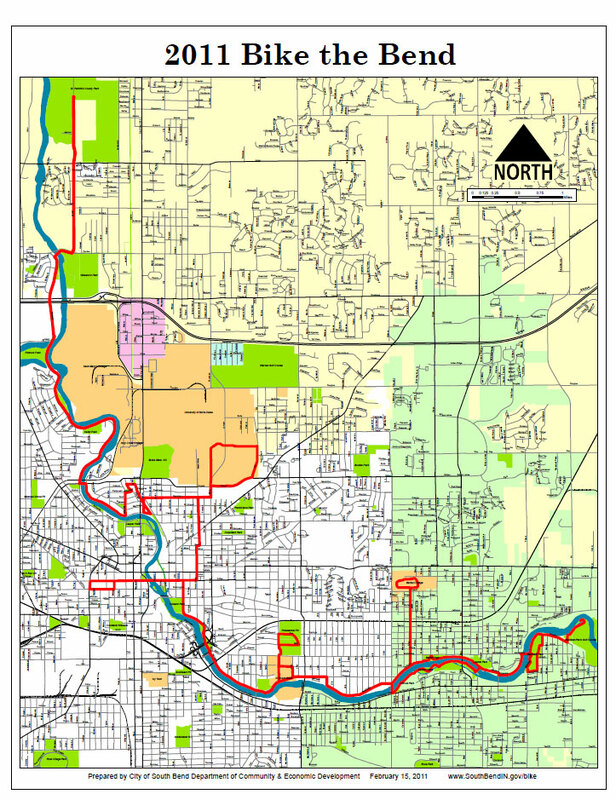 Members of the Michigan/ Indiana community: Bike the Bend will take place on May 15th this year with the trail winding through Mishawaka and South Bend. REGISTRATION is now open! Early registration will be ongoing until April 30th at a cost of $25. Early registrants will receive a free t-shirt. Late registration will be from May 1st through the 14th and can also be done on the day of the event at a fee of $30. Anyone below the age of 17 however will be able to ride at NO COST! For the event page which entails all the information about the event, the route, volunteering and more, click here. Temple City’s planning and public safety commissions will be holding a meeting on Wednesday March 9th at 7:30 in the council chambers at 5948 Kauffman Ave. to discuss a proposed bicycle master plan for Temple City. For more information click here. To download The Bicycle Plan PDF as well as other relevant plan specifications, click here. 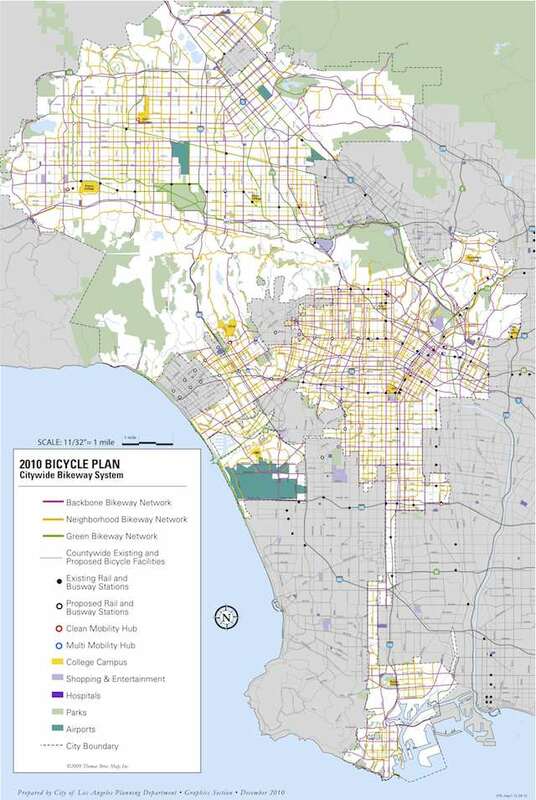 The Los Angeles Bicycle Plan has officially been adopted in a unanimous (12-0) vote on March 1st. Though there have been some criticisms of the plan by the LA bicycling community, it is still a step in a positive direction. To read more about plans for the future as well as funding click here.